BitFontCreator Grayscale is a professional Bitmap font creator tool for Windows, which allows you create and modify antialiased bitmap fonts that can be used in Windows and electronic devices (Mobil, phone, DVD player and any other LCDs). Also it can export bitmap data in various formats (Big/Little Endian, Row/Column based, Row/Column preferred, Packed or not, etc.) BitFontCreator Grayscale can generate antialiased 2-bpp and 4-bpp fonts in addition to Monochrome fonts. BitFontCreator Key Features: 1. 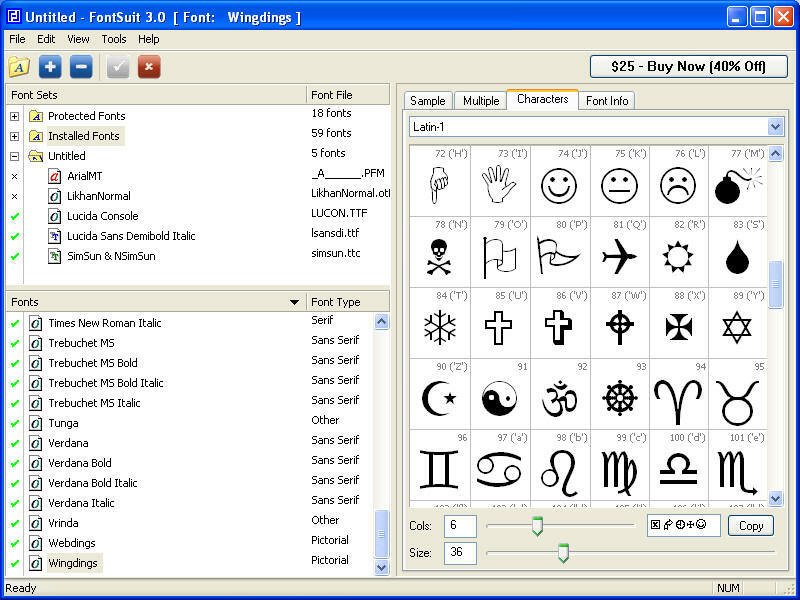 Import fonts: Support all kinds of fonts installed on your Windows PC (True Type, Open Type, Adobe Type 1 and Raster fonts). 2. Edit Tools: Pencil, eraser, line, rectangle, Shifting tools, Invert, flip, and marquee selection. 3. Support 4/8/16/32-bit data length. 4. Support all kinds of bitmap data formats. 5. Export fonts: Export Windows font resource (*.fnt) and Windows bitmap font (*.fon). Fonts created with BitFontCreator can be used on mobile operating systems such as Windows CE, Windows Mobile, Palm OS, and Symbian OS. 6. Export C file: The C file includes jump tables and bitmap data of all characters. 7. Export Binary file: The binary file includes the bitmap data of all characters in binary format. 8. Export bitmap files of all characters. 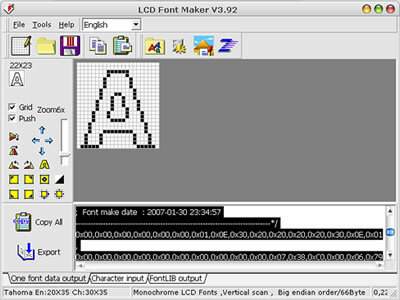 BitFontCreator Pro is a professional bitmap font creator tool for Windows, which allows you to create and modify monochrome bitmap fonts that can be used in Windows OS and electronic devices ( such as Mobil, phone, DVD player and any other LCD / LED). Also BitFontCreator Pro can export bitmap data in various formats. It just import the font installed on your Windows PC and create a C file representing that font. The C file includes jump tables and bitmap data of all characters. BitFontCreator Pro supports Unicode encoding 65536 characters. December 14, 2014 Font Tools, Software, UtilitiesC51BBS LTD.
Top class font manager for OpenType, TrueType, PostScript Type 1 and printer fonts. Previews all fonts. Displays all font properties (typeface classification, kerning pairs, file data, copyright…). Views character set, keyboard layout, zoom view. Finds similar fonts and compares several fonts tabularly. Prints fonts in many ways. Manages fonts in database and font groups. Font file management functions. Information about typefaces and typography. Typograf searches fonts and duplicates on your harddrive, CD-ROM’s or DVD’s. Sorting fonts by file, name, family, size, copyright, width,… You can edit the file information (name, copyright) with Typograf. You have favorites and history of viewed directories and Tag for viewing and printig fonts. You get free minor updates and a good support (FAQ search engine for Typograf) on the Web www.neuber.com. 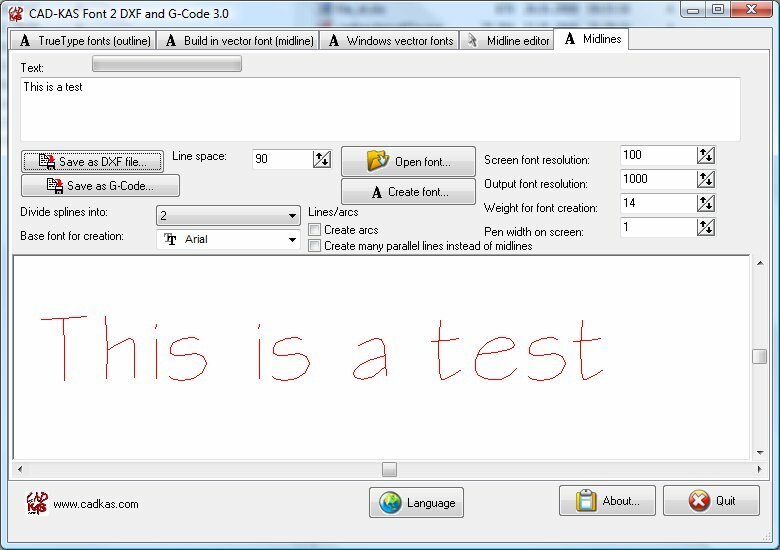 Create a text in any installed true type font or a single line font and save the result as dxf file or G-Code file. So you can plot the font to use it for engravings with your NC machine etc. You only enter the text and click on “Save as DXF file…”. You can also create stencil fonts. The text will be saved as polygon line information in the DXF file. In version 2.0 a vector font is build in. So now you can not only render the outline of True Type fonts but also single line fonts. Version 3 can output the G-Code for your NC machine directly. And this version can now create arcs not only line segments as output. New: now an Editor for midline fonts is included. So you can design your own single line fonts. You can let the program create a midline font/single line font from any true type font and the edit the midline font in the Editor. You can then create a DXF or G-Code output from your own midline font. The single line font can use bezier curves. If you export them the bezier curves can be converted into arcs for your NC maschine. Do you have font files strewn across different media? Need help organizing them? Use Advanced Font Catalog with Explorer-like interface to catalog font files on CD-ROMs, hard drives (including network drives), optical disks, Zip and Jaz disks, and other media. You can add comments to each font file, folder, and disk, and you can search for font files by the font name, copyright, file name, or your own comments.